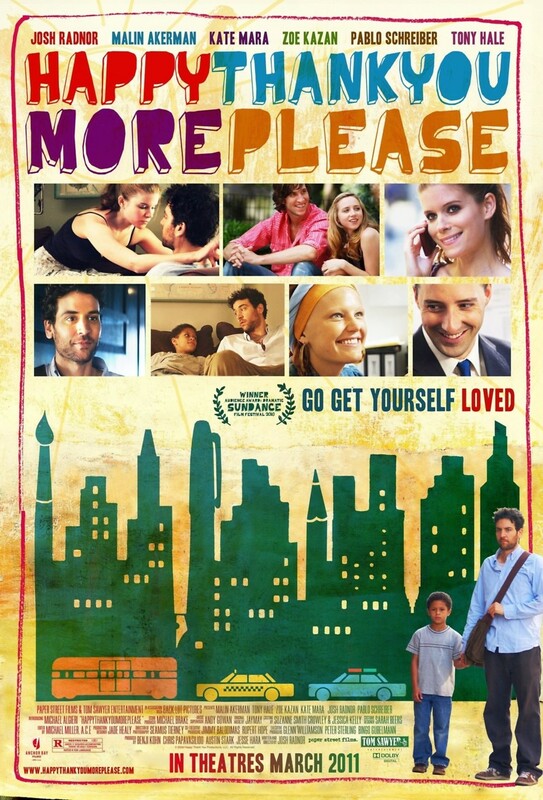 Happythankyoumore please DVD and Blu-ray release date was set for June 21, 2011. A group of six residents of New York are the focus of a tale centered on the nature and depth of friendships, romance, and the desire to break the shackles of youthful cynicism and take hold of life as an adult. When struggling writer Sam Wexler meets an abandoned boy named Rasheen on the subway, he makes the impulsive decision to offer the boy a place to stay. Other stories connected to Sam's are explored: a young, lovelorn woman suffering from alopecia; a couple whose relationship is strained by the prospect of moving to Los Angeles; and an aspiring cabaret performer that attracts Sam.